Do you have a few hours over the summer to help with the Summer Reading Challenge? 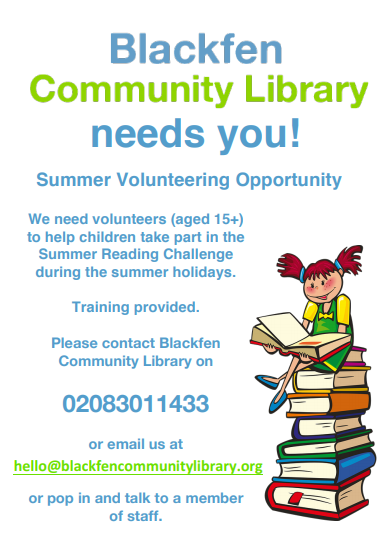 Every year, hundreds of local children join in at libraries across Bexley. Their reading can ‘dip’ during the summer holidays if they don’t have regular access to books and encouragement to read for pleasure. Children receive special rewards each time they finish a book and there’s a certificate for everyone who completes the Challenge. The theme this year is Mischief Makers, inspired by the much-loved characters of the Beano comic! We’ll provide you with training, and can also provide a reference if you complete an agreed number of volunteer hours.